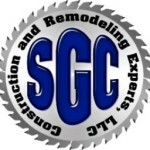 With more than 20 years combined multiple contracting experience and expertise, our remodeling contractors have in excess of 20 highly qualified expert remodeler’s, renovators, restoration professionals, roofers, framers, plumbers, electricians, handymen, painters, masons, landscapers, carpenter and everything in between at their disposal. 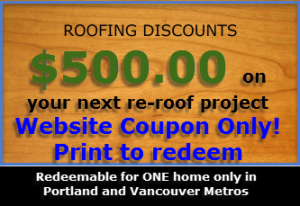 They have grown this network of craftsmen over the 20 year history used in serving tirelessly throughout the Pacific Northwest with new construction, renovation, restoration, and remodeling services. Although Home Improvement Contracting has been our specialty, we have produced some very high quality commercial remodels and renovations here in the local area as well. Visit our Image Gallery for examples. Start to finish, we are committed to excellence. 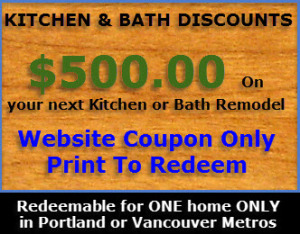 We strive to be the best Remodeling Contractors in the Portland and Vancouver Metro areas. Remodeling is our main focus and expertise. However, as you will notice on the navigation menu, we also provide extensive contractor services in other construction and remodeling categories making us the Premier “Go-To” Contractor in Portland and Vancouver. From foundation to ROOFTOP, we have your Construction and Remodeling Contractor needs covered. Feel free to browse your category, then give us a call for a free consultation. 2.) Serve our Communities | Service is in our name! We support our communities by donating 10% of our profits to charitable organizations to help the homeless, needy, and At Risk Children in the Pacific Northwest and other Countries. Help us prevent homelessness, and hunger, and give hope to our At Risk Children. Look at it this way, you can make a positive impact on someones life. Team with us, lets build lives together! We openly build relationships by providing complete honesty, integrity, transparency, support and service in all we do. Contact Us for details. We know you have done your research? How many Construction Companies gladly share their profits to help strangers, homeless, hungry, and at risk children? Okay, maybe some will help sometimes but… honestly, how many of them have as their main focus to be identified as a Community Outreach Focused and Driven Company these days? Also, we understand families are struggling so…we kick it up a notch with AWESOME Financing having not only very low rates but… Banner Bank will finance your home improvement project if you have a credit score of 650. Anyone can qualify! We have a caring attitude and outlook. WE HOPE YOU’VE LEARNED ENOUGH ABOUT US TO GIVE US THE OPPORTUNITY TO SERVE YOU BUT IF YOU WANT MORE INFORMATION, WELL IT’S AS EASY AS PICKING UP THE PHONE AND CALL.